We used science and data to determine which neighborhoods in Chicago are the best of the best. Editor’s Note: We updated this article for 2019. This is our fifth time ranking the best neighborhoods to live in Chicago. Do you like your neighborhood? Is it friendly, and where everyone knows their neighbors? No matter if you live in the sticks or in an apartment building in downtown Chicago, you have a little pocket that you can call home. And each neighborhood is different. Smaller neighborhoods usually have obvious benefits — less crime, a slower pace of life, and a lower cost of living. But not all Chicago neighborhoods are created equal. Some are better than others. But which ones? Instead of relying on public opinion and speculation, we wanted to get the facts straight and find out which neighborhoods in Chicago are the best. If you’re in one of the places we’re about to highlight, odds are you know you’ve got it made. So what’s the best neighborhood to live in Chicago for 2019? According to the most recent census data, North Center looks to be the best Chicago neighborhood to live in. Read on to see how we determined the places around Chicago that deserve a little bragging rights or maybe you’re interested in the worst neighborhoods in Chicago. Once you’re done, you can look at the bottom of the story for a complete chart of every neighborhood we looked at from best to worst. In order to rank the best neighborhoods in Chicago, we had to determine what criteria defines a “best”. We then ranked each neighborhood with scores from 1 to 77 in each category, where 1 was the best. Next, we averaged the rankings for each neighborhood to create a best neighborhood index. And finally, we crowned the neighborhood with the lowest best neighborhood index the “Best City Neighborhood In Chicago.” We’re lookin’ at you, North Center. 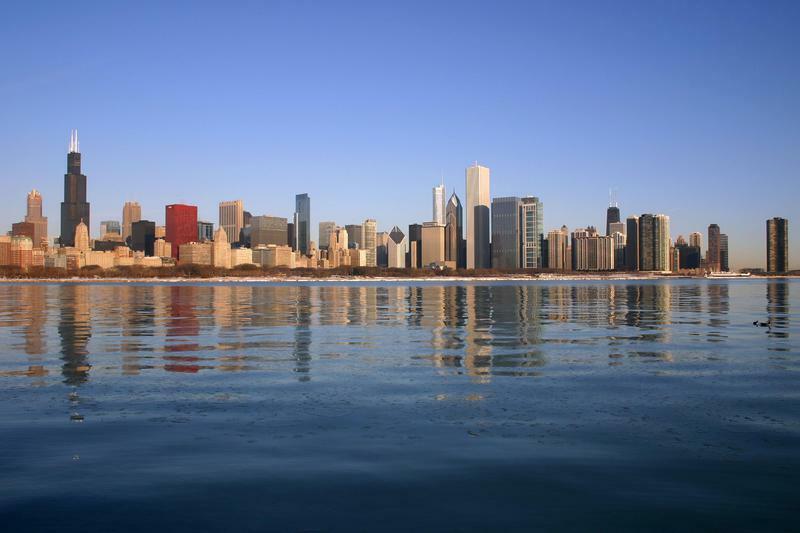 Read on below to learn more about what it’s like to live in the best places Chicago, Illinois has to offer. Or skip to the end to see the list of all the neighborhoods in the city from best to worst. North Center is located in the city’s North Side. North Center is bordered on the north by Montrose Avenue, on the south by Diversey Parkway, on the west by the Chicago River and on the east by Ravenswood Avenue; it includes the neighborhoods of Northcenter, Roscoe Village, St. Ben’s, and Hamlin Park. The Brown Line of the Chicago ‘L’ has stops within the community area at Addison and Irving Park. 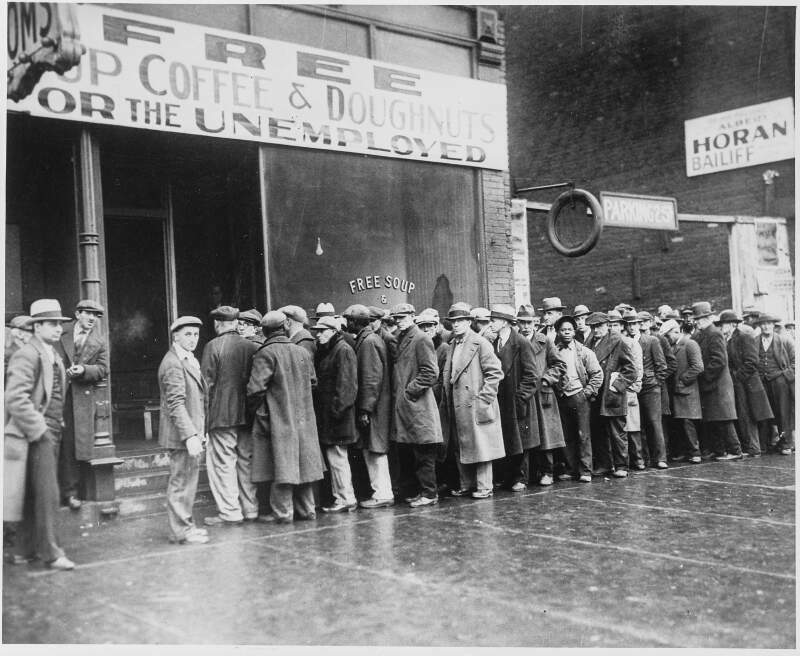 North Center was settled in the latter part of the 19th century and the early 20th century largely by Germans who worked in what is known as the industrial corridor along Ravenswood Avenue, and the large industrial plants along the Chicago River to the west. The Loop is the central business district or downtown of Chicago, Illinois. It is one of the city’s 77 designated community areas. 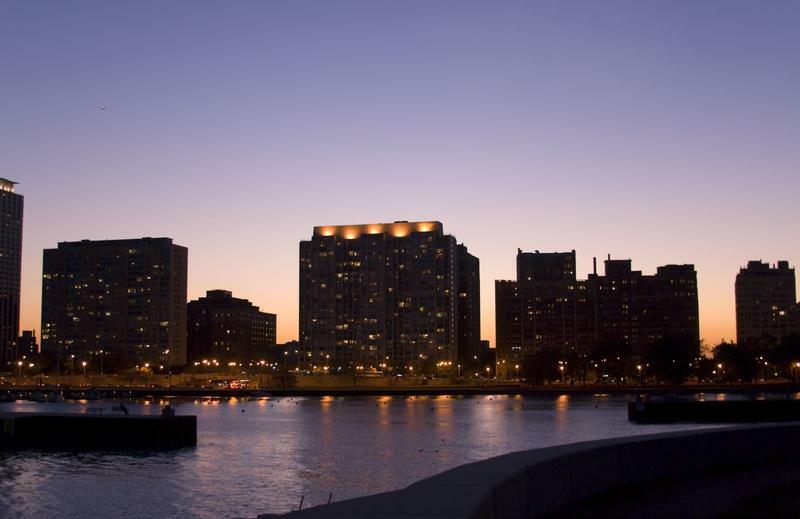 The Loop is home to Chicago’s commercial core, City Hall, and the seat of Cook County. In the late nineteenth century, cable car turnarounds and prominent elevated railway encircled the area, giving the Loop its name. The community area is bounded on the north and west by the Chicago River, on the east by Lake Michigan, and on the south by Roosevelt Road, although the commercial core has expanded into adjacent community areas. As a business center, some of the corporations the Loop hosts include the Chicago Mercantile Exchange, the world’s largest options and futures contracts open interest exchange; the headquarters of United Continental Holdings, one of the world’s largest airlines; AON; Blue Cross Blue Shield; Hyatt Hotels Corporation; BorgWarner, and other major corporations. The Loop is home to 500 acre Grant Park; State Street, which hosts a historic shopping district; the Art Institute of Chicago; several theaters; and numerous subway and elevated rapid transit stations. Other institutions in the Loop include the Willis Tower, once the tallest building in the world, the Chicago Symphony Orchestra, the Lyric Opera of Chicago, the Goodman Theatre, the Joffrey Ballet, the central public Harold Washington Library, and the Chicago Cultural Center. Lake View, also spelled Lakeview, is one of the 77 community areas of Chicago, Illinois, located on the city’s North Side. It is bordered by West Diversey Parkway on the south, West Irving Park Road on the north, North Ravenswood Avenue on the west, and the shore of Lake Michigan on the east. The Uptown community area is to Lakeview’s north, Lincoln Square to its northwest, North Center to its west and Lincoln Park to its south. The 2015 population of Lakeview was 98,212 residents, making it the largest of the Chicago community areas by population. Lakeview unofficially includes smaller neighborhood enclaves: Sheridan Station Corridor, Boystown, Northhalsted, Southport Corridor, Wrigleyville, & Wrigley Plaza. Boystown, famous for its large LGBT population, holds the pride parade held each June. Wrigleyville, another popular district, surrounds Wrigley Field, home of the Chicago Cubs. Lakeview is home to the Belmont Theater District showcasing over 30 theaters and live performance venues located near the Belmont El station. In 2013, Money Magazine named Lakeview as number 3 of its top 10 Big-city neighborhoods for its selection of Best Places to Live. Lincoln Park’s boundaries are precisely defined in the city’s list of official community areas. It is bordered on the north by Diversey Parkway, on the west by the Chicago River, on the south by North Avenue, and on the east by Lake Michigan. It encompasses a number of neighborhoods, including Lincoln Central, Mid-North, Old Town Triangle, Park West, RANCH Triangle, Sheffield, and Wrightwood Neighbors. 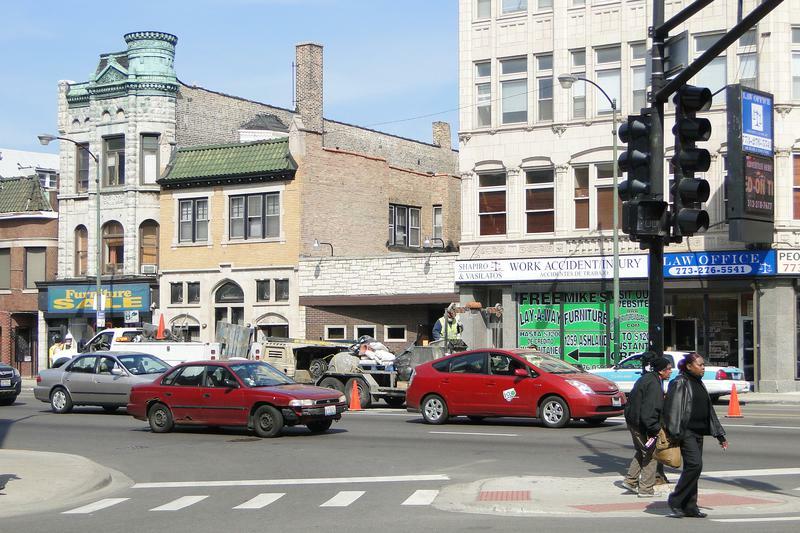 The area also includes most of the Clybourn Corridor retail district, which continues into the Near North Side. Lincoln Park neighborhood associations include: Lincoln Central Association, Mid-North Association, Old Town Triangle Association, Park West Community Association, RANCH Triangle Community Conservation Association, Sheffield Neighborhood Association, and Wrightwood Neighbors Association. All are affiliated with the Lincoln Park Conservation Association. 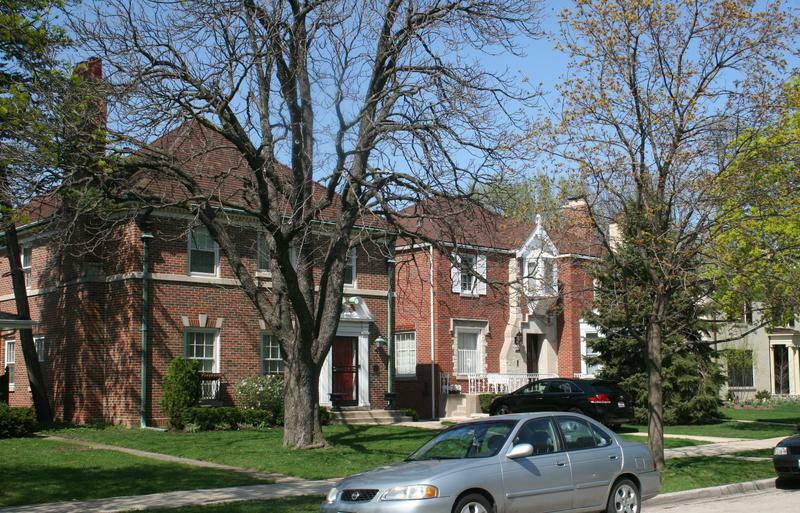 Edison Park is one of the 77 community areas of Chicago, in North Side, Chicago, Illinois. 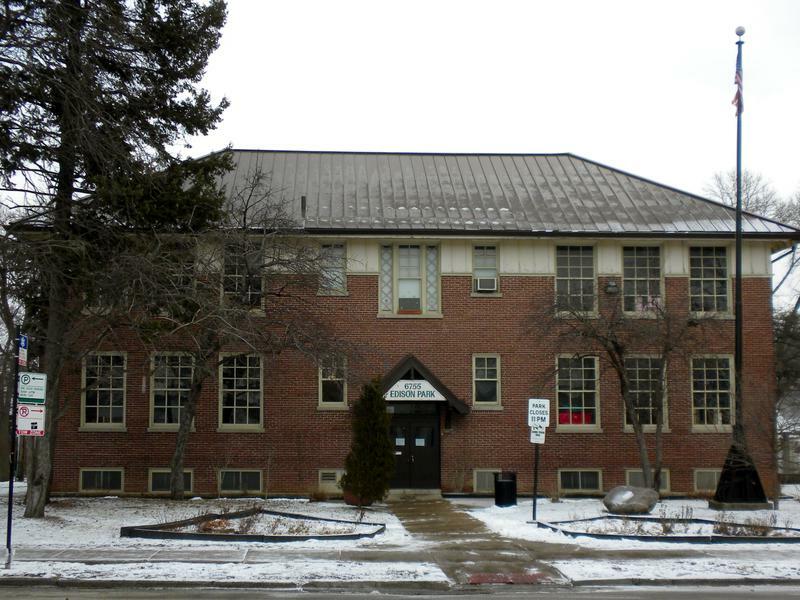 It consists entirely of the Edison Park neighborhood, and is named after Thomas Alva Edison, who gave his blessing to this community namesake in 1890. According to the 2000 Census, its population is 11,259. Edison Park has one of the highest concentrations of Irish ancestry in Chicago, where they make up over three-fourths of the neighborhood’s population. Located between the Des Plaines River and the Chicago River this area served as a local watershed divide. The Chicago River flowed into Lake Michigan, which connected to the Atlantic Ocean through the Great Lakes. The Des Plaines River feeds into the Illinois River and the Mississippi River to reach the Gulf of Mexico. Like nearby Portage Park, Edison Park was a common portage for early travelers, who would carry their canoes across it. The Near North Side area is located north and east of the Chicago River. To its east is Lake Michigan, and its northern boundary is the early 19th-century city limit of Chicago, North Avenue. Of the downtown community areas, the Near North Side has the second largest total area, after the Near West Side, the highest number of skyscrapers, and the largest population. 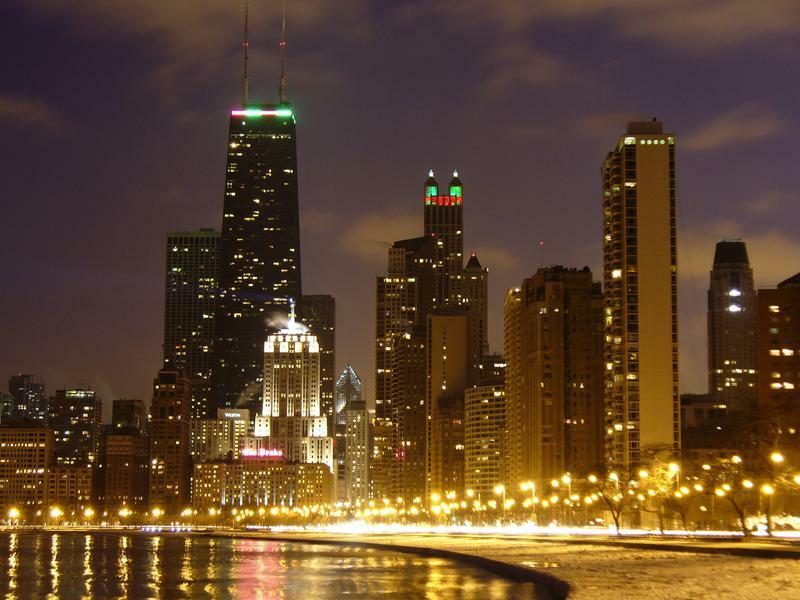 With the exception of Goose Island and the remnants of Cabrini-Green, to the west, the Near North Side is known for its extreme affluence, typified by the Magnificent Mile, Gold Coast, Navy Pier, and its world-famous skyscrapers. Forest Glen is located on the city’s Northwest Side. It comprises the neighborhoods of Forest Glen, Edgebrook and Sauganash, with sub-neighborhoods of Sauganash Park, Wildwood, North Edgebrook and Old Edgebrook. West Town is located northwest of the Loop, on Chicago’s West Side. Much of this area was historically part of the city’s Polish Downtown, and its name may refer to Western Avenue, which was the city’s western boundary at the time of West Town’s settlement, but more likely was a convenient abstraction by the creators of Chicago’s community areas. Then, as now, West Town was a collection of several distinct neighborhoods. The boundaries of the community area are the Chicago River to the east, the Union Pacific railroad tracks to the south, the former railroad tracks on Bloomingdale Avenue to the North, and an irregular western border to the west that includes the city park called Humboldt Park. 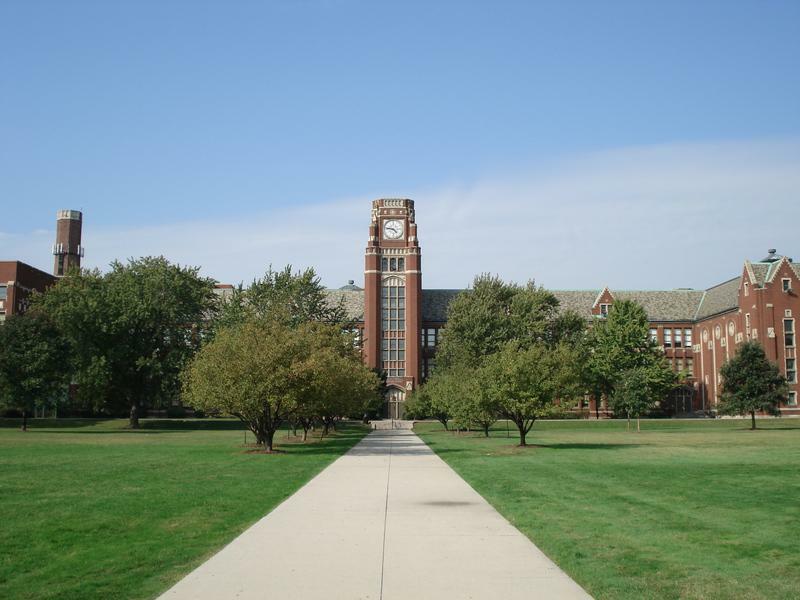 Humboldt Park is also the name of the community area to West Town’s west, Logan Square is to the north, Near North Side to the east, and Near West Side to the south. 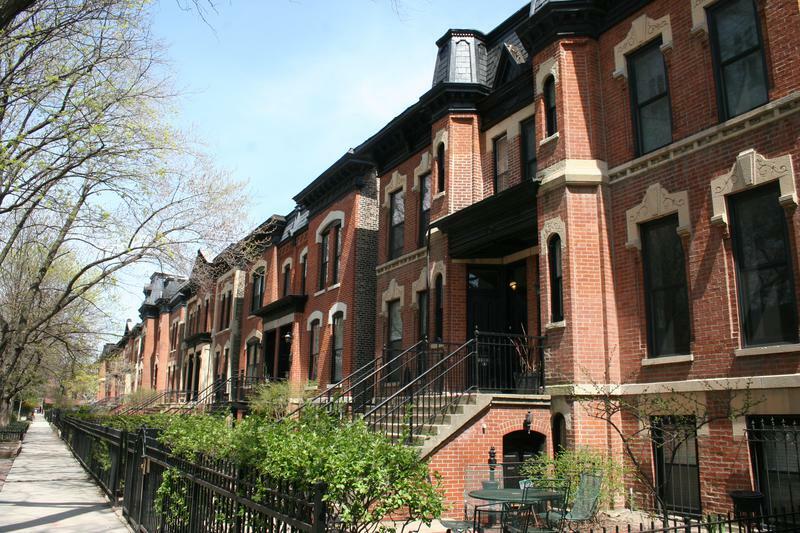 Currently, as well as historically, the collection of neighborhoods in West Town along with the neighborhoods of Bucktown and the eastern portion of Logan Square have been referred to by media as the Near Northwest Side. However, since the gentrification of West Town, media often refers to the area as solely the Northwest Side for the purposes of real estate gentrification tactics. If you’re measuring the neighborhoods in Chicago where crime is low and everyone wants to live, this is an accurate list. As we mentioned earlier, the neighborhoods in Chicago aren’t all good. Riverdale takes the title of the worst neighborhood to live in Chicago. We ranked the neighborhoods from best to worst in the chart below.